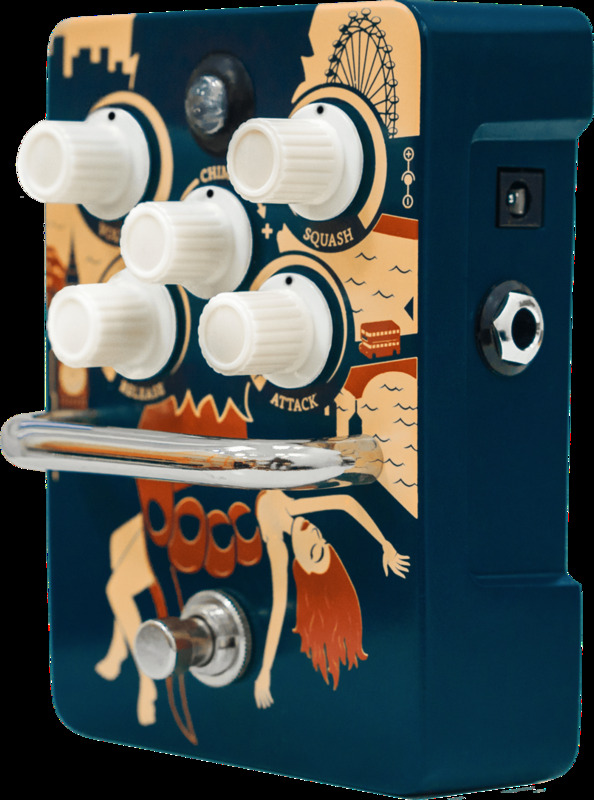 The Orange Kongpressor is an analogue Class A compression pedal which adds an organic three-dimensional quality to any rig. 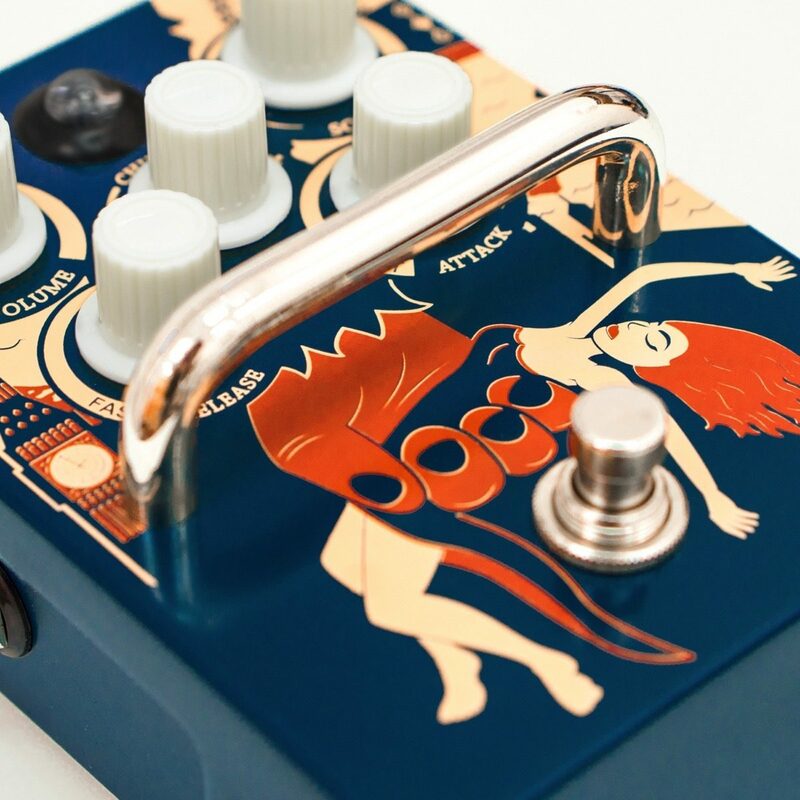 The pedal takes its inspiration from some of the world's most iconic vintage optical studio units, employing a re-issue of the famous vactrol VTL5C3 optocoupler that was responsible for the sound heard on countless hit records. At lower compression levels, the Orange Kongpressor's effect is transparent but somehow fattening. It adds mojo and a glossy sheen to your core tone that you'll truly miss when it's bypassed. Even at extreme settings, the tone always remains musical with great feel under the fingers. With controls for attack and release time, the Orange Kongpressor can be tweaked to fine tune the transients and the bloom. We worked hard to make these parameters as forgiving as possible whilst still allowing players full control over the compression response. The pedal's internal charge pump doubles the headroom of the unit, so however the dials are set, the compression tracks seamlessly and remains clean across its range. There's also an active treble control for adding in extra chime and jangle, making the compression even more transparent. So whether you are new to compression or a seasoned studio user, it's impossible to get a bad sound from this comp. 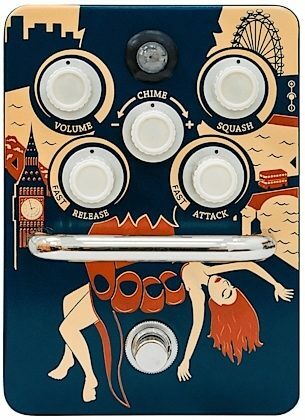 Of course it's outstanding for crystal clean country pickin', but the Orange Kongpressor also maintains the bottom end that seems to gets lost in many compression pedals. This means it behaves impeccably with overdrive pedals or the lead channel of your amplifier, adding fullness and sustain. The Orange Kongpressor's analogue, Class A design makes for very natural sounding compression. The vintage-inspired optical circuit adds extra depth your guitar or bass tone, making it seem "larger than life." The attack and release times can be adjusted to taste allowing for fine tuning of the bloom and perceived plectrum gauge. 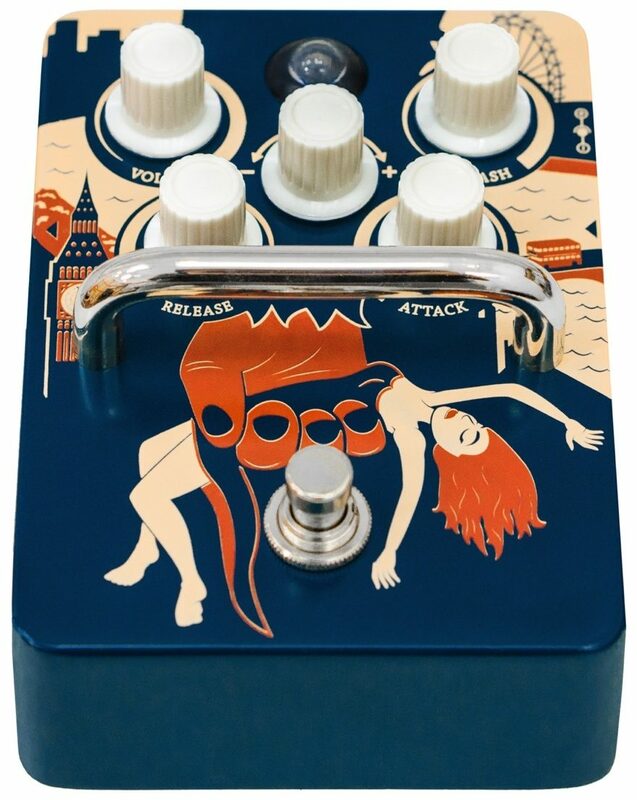 Faster attack times will react to the front of the note faster, while slower attack times will add punch to the sound as the compression reacts slower on the transient. Fast release times will give more perceived clean volume along with a more transparent compression. Slower release times will yield more compression and a slower, mellower bloom. With any attack or release setting, the Orange Kongpressor has a satisfying, springy playing response under the fingers. 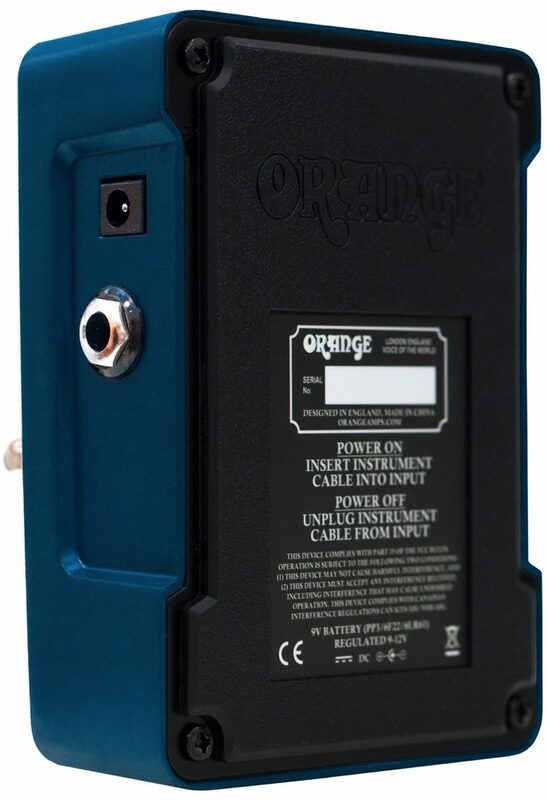 With up to 12dB of clean gain available on the Volume control, the Orange Kongpressor works brilliantly as a transparent clean boost pedal, but with a little extra "something." With the compression turned up, your lead lines will cut through the band with plenty of fat, singing sustain. 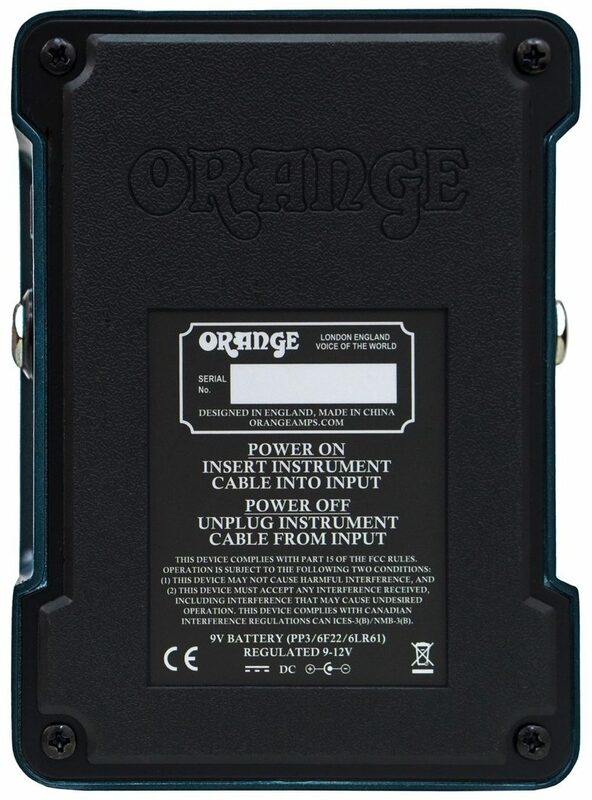 Like all Orange pedals, the Orange Kongpressor features an internal charge pump which doubles the operating voltage of the pedal to 18V. This has the effect of drastically increasing the headroom for super clean compression. The Kongpressor can be powered by 9V battery or standard DC adapter, or for even more output can also run on 12V DC. 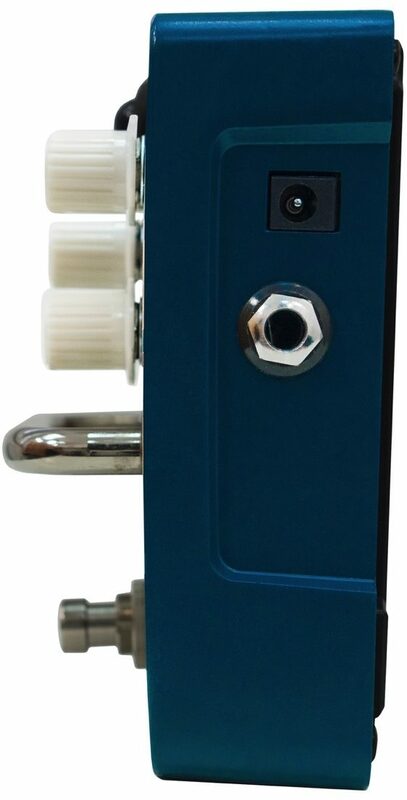 The Orange Kongpressor's bypass features an ultra-linear buffer which retains your guitar's upper harmonic content when the pedal is switched off. Maintain tonal integrity even with long cable runs and large pedalboards. Power: 9V Battery Operation Or 9V-12V Dc Adapter. Max Current Drawn 35Ma. Dimensions (W X H X D): 3.74 x 2.56 x 5.12"